Fairy Park - Anakie - Adventures from where you want to be. Just one hour west of Melbourne and only 60 km out of Ballarat is the magical Fairy Park in Anakie. A must-see destination for those with young children. The magical Fairy Park opened it’s doors back in 1959, most of the displays were made by hand by Peter Mayer, a German immigrant who purchased the land and opened Fairy Park, his family still runs the Park even now almost 60 years later. Built on Mount Anakie, the 22 handcrafted scenes from various fairy tales snake their way around and up the hill, with a magical Summit view form Elephant rock at the top. To enter and pay you drive up the driveway and pay at a ticket box halfway up the long driveway. Adults are $16 and children 3 years and older are $8. There are 2 or 3 different places that sell food and beverages however they are only open on weekends, and their times vary. Fairy Park’s website has a calendar that lets you know when they are open. However, if they are closed there are some vending machines around the place. It is the perfect place to bring a picnic with seats found all over the place not just in the main Picnic areas. It has three main sections, Fairytale Land, Camelot playground and Elephant Rock picnic grounds and (Electric BBQ’s). 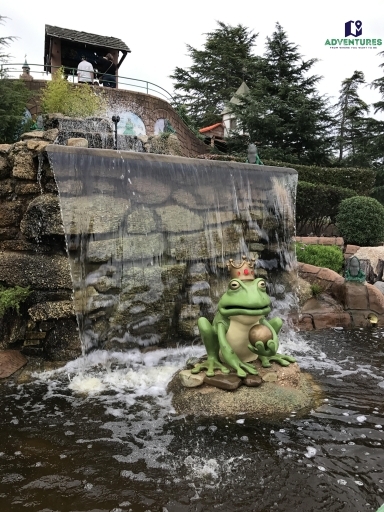 Fairytale Land is an enchanting place where your child can see over 22 amazing displays of some well known, and some more obscure fairy tales, myths and legends. Your children will be enchanted by the Frog Prince, Cinderella, Snow White, sleeping beauty, Rumpelstiltskin, Goldilocks and much more. 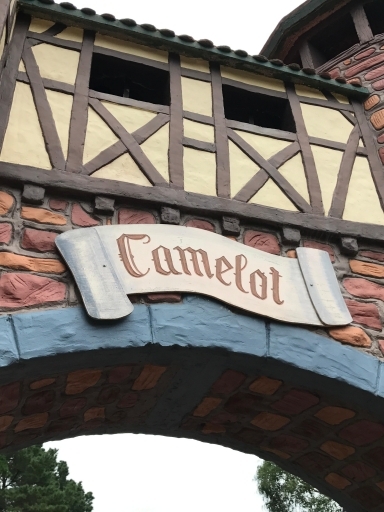 Camelot playground is a favourite with children of all ages, there is so much to do there all based on the medieval theme. Pingback: Lal Lal Blast Furnace - Adventures from where you want to be.